Brut Glass is the most famous of the BRUT fragrance bottles. 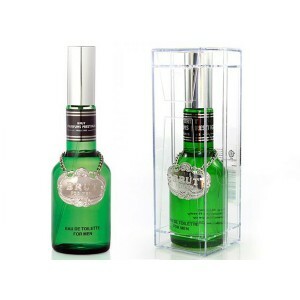 Brut Glass Eau De Toilette 100ml. is something more than just Eau de Toilette in a glass bottle. It is the most famous of the BRUT fragrance bottles and is instantly recognised by its well known silver coloured BRUT medallion. It has a classic presentation that has never been replicated in the fragrance market and is now strong in demand across the globe. When you see the fashionable green bottle with the medallion, you know it has to be BRUT. It is desirable for any BRUT man to own and sets the mood for his evening activities.